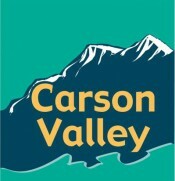 The Carson Valley Chamber of Commerce serves its nearly 500 members by Connecting, Informing and Advocating. We connect members to new customers and suppliers, to each other and to providers of needed services. We strive to inform our members of best practices for businesses, of new opportunities and of potential threats as well. We advocate for our members at every level, from local interaction with the Towns and GIDS to the County, State and Federal levels. We are proud to serve as a resource and as the primary voice for the business community of Carson Valley.